More than 200 jobs are being created across Wales, as part of a huge recruitment drive announced today (Monday 28 January 2019) by Openreach. 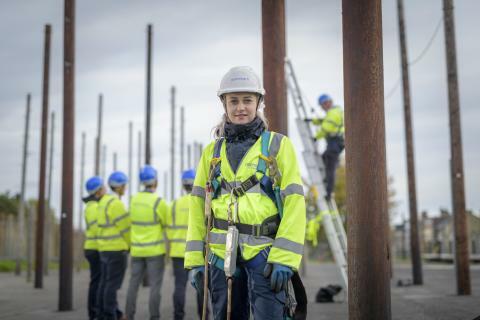 The majority of new roles will be for trainee engineers – located around the country including Cardiff, Carmarthenshire, Denbighshire, Powys and Swansea – and will join the country’s largest team of telecoms experts working to expand, upgrade, maintain and install services over Openreach’s national broadband network. Sixty desk-based roles will also be created in Cardiff working on Openreach’s commitment to opening up its Duct and Pole infrastructure to other communication providers. The new recruits will join the 1800 strong Openreach workforce that are already based in Wales.